NI's Audio 8 DJ is not just a beautiful piece of soundcard technology, but it's also twice as much card as most people need. MIDI controllers tend to be just 2 channels, as do other DVS systems not called Traktor Scratch Pro. So rather than try to sell a lovely but expensive card into a market that doesn't actually need that much card, why not slice it in half, make it the right product for everyone else and price it accordingly. That's Audio 4 DJ that is. 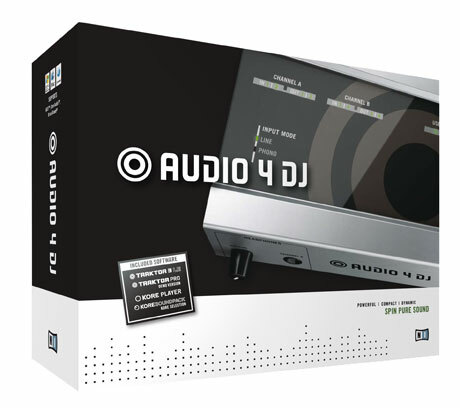 Berlin, January 15th, 2009 � Native Instruments today introduced AUDIO 4 DJ, a performance-optimized USB 2.0 audio interface specifically designed for TRAKTOR and other DJ software. With its versatile feature set, outstanding audio quality, extremely low latency, and its compact and robust aluminium casing, AUDIO 4 DJ is the ideal centerpiece for a wide range of club and studio setups. 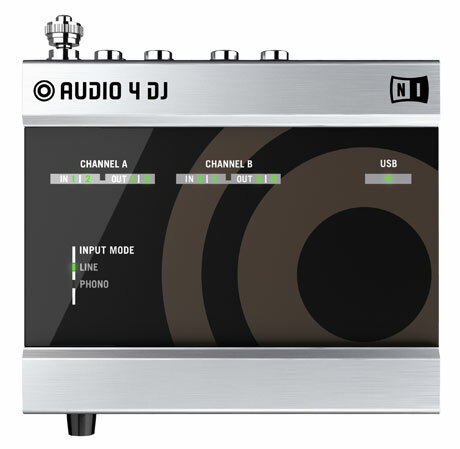 AUDIO 4 DJ is equipped with studio-quality 24bit/192 kHz audio converters from Cirrus Logic that provide crystal-clear treble and rich bass response, and features special high-gain output stages that deliver a powerful +10dBu signal with additional headroom. Low-latency operation down to less than 4ms enables the high degree of precision and responsiveness that professional DJ performances rely on. 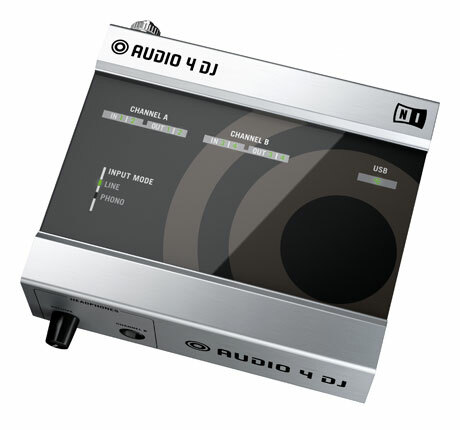 AUDIO 4 DJ also features a ground point for turntables and an adjustable headphone output, as well as signal level LEDs for all inputs and outputs. The interface is completely bus-powered, making a cumbersome AC adapter unnecessary. 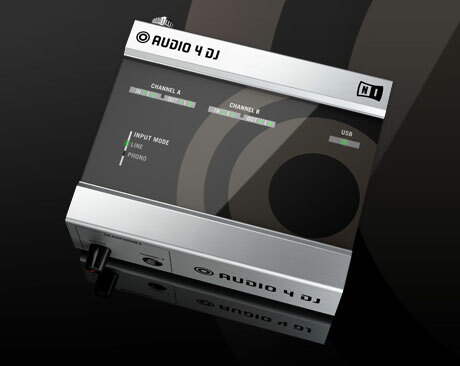 AUDIO 4 DJ is available now for a suggested retail price of $249 / 229 � at authorized dealers and in the NI Online Shop. Next question is, "does it work with Scratch?". is it a toy ? Tractor is having a hard time selling their Audio 8.
it doesn't come with the traktor scratch pro software,just with the 3 le or the traktor pro and you need additional software for digitizing old vinyl. so if your not a scratch dj this would be a good choise but since most of us here also scratch i can't imagine buying this. I'm sure they'll bundle it with Scratch Pro for an increased price, and I'm sure you'll be able to buy it and upgrade to Scratch Pro to use timecoded vinyl or CDs. Look on the top of it. It has PHONO and LINE modes. Why else have that? But, why does it still not have a A/C adapter input, so that when switching between DJs using Traktor Scratch, they can continue to play regular vinyl? I am assuming that this soundcard will be bundled the same way that the Audio8 was, which includes the WONDERFUL multicore cable set. These cables have a XLR style quick disconnect in the middle that allows you to change out audio interface boxes (per channel) very quickly and easily. It shouldn't be a problem. "But, why does it still not have a A/C adapter input, so that when switching between DJs using Traktor Scratch, they can continue to play regular vinyl?" qfour20 is right. Unlike the SL-1 box that needs to be powered to do this NI's multicore cables allow normal records to be played during switchover. Dont sleep on TS peeps, its not the standard but imho its a better system overall. Nice to see NI use the Rane TTM 57SL mixer/soundcard on their product video.